Pick up from your hotel in Cairo then drive for 30 minutes to Giza Plateau where your Egyptologist guide will provide a catchy introduction to each of the 3 pyramids: Cheops, Khafre & Menakaure. A short transfer to the city side of the plateau takes you at the feet of the great Sphinx, symbol of Egypt. Also in Giza you may explore the Solar Boat Museum home to the remarkably well conserved funerary boat of Khufu. 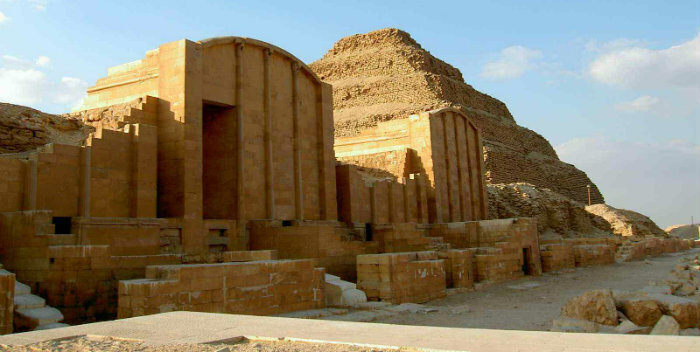 Your next visit is Sakkara, where Egypt oldest pyramid of king Zoser been erected in 2650 B.C, it the highlight of Saqqara Necropolis monuments among several pyramids and high officials mastaba tombs. The last stop is Memphis, the first capital of ancient Egypt. Here you will admire artifacts from several great rulers of Egypt. You may need to visit a Papyrus Institute for souvenirs and to learn how this famous artwork is made. Then transfer you back to your hotel.